Live-streaming is a key trend of the moment, with an increasing number of brands and individuals looking to streaming to help boost reach and engagement. And while not everyone can be a live-stream star, and not every live-stream draws an audience, there's clearly demand there. According to Facebook, daily watch time for Facebook Live broadcasts grew 4x over the past year, while one in five videos posted to Facebook is now a live broadcast. There are also, according to this new infographic from Salesforce, some fairly direct brand benefits to live-streaming. Live-streaming, for example, generates more positive emotions, improving both 'purchase likelihood' and 'brand favorability' in viewers. 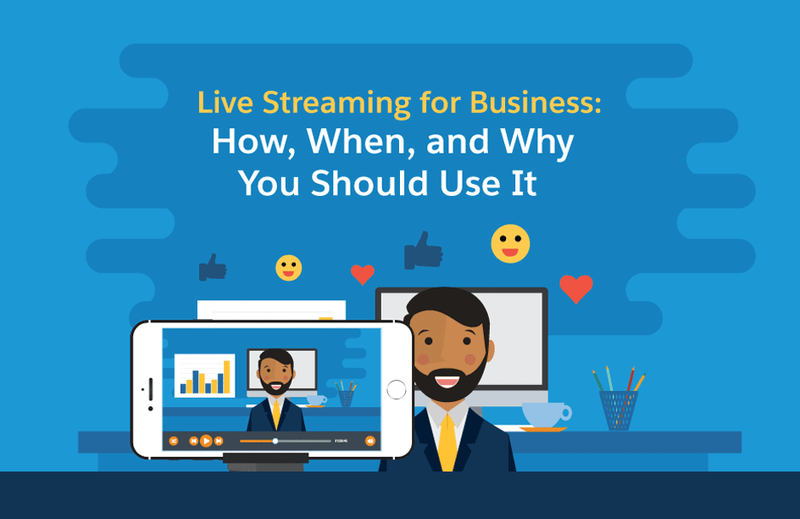 It can be a little daunting, it's not necessarily easy to come up with a compelling live-stream strategy. But for those who get it right, the benefits can be significant. Take a look at the full infographic for some more key live-streaming considerations.